You can edit a module in the module settings menu. 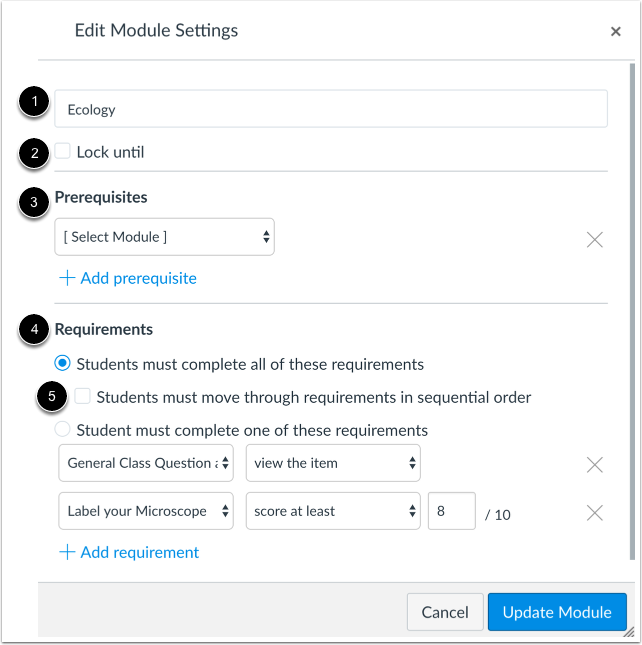 Editing a module allows you to rename the module, lock modules, add prerequisites, and add requirements. Edit the module settings you want to change. 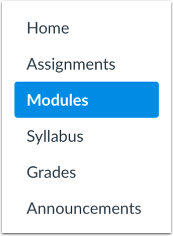 You can rename the module , lock modules , add prerequisites , add requirements , and require students to move through module items in order . Note: The Students must move through requirements in sequential order checkbox will not be shown if the Students must complete one of these requirements radio button is selected. When you are ready to save your Module changes, click the Update Module button. 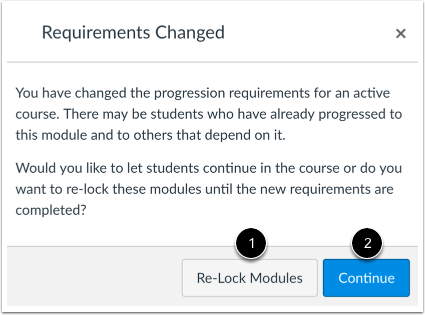 If you change any module requirements or prerequisites that students have already fulfilled, Canvas will ask if you want to let students progress through the course or re-lock the modules and require students to complete the requirements again. Previous Topic:How do I add requirements to a module? Next Topic:How do I lock a module? Table of Contents > Modules > How do I edit a module? Re: How do I update an existing Module?